Ritchie Homes custom home construction is all about bringing your dream house to life. 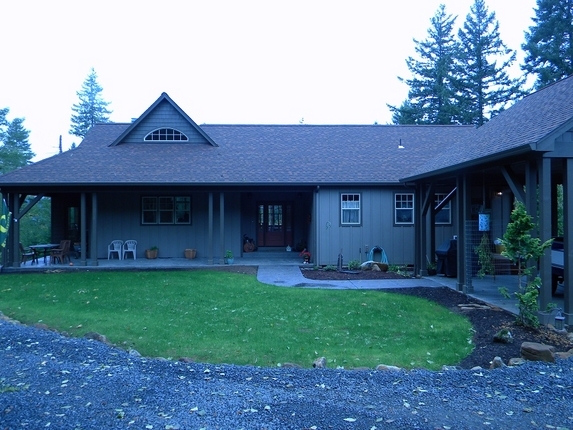 A custom home lets us work around the landscape to create a one of a kind construction. In this case a beautiful home hides its two stories from the front. At the back of the house the full size of this custom home is revealed. With plenty of windows and detail work, this custom home looks great from every angle. The very large window gives this room tons of natural light and a very outdoorsy feel. 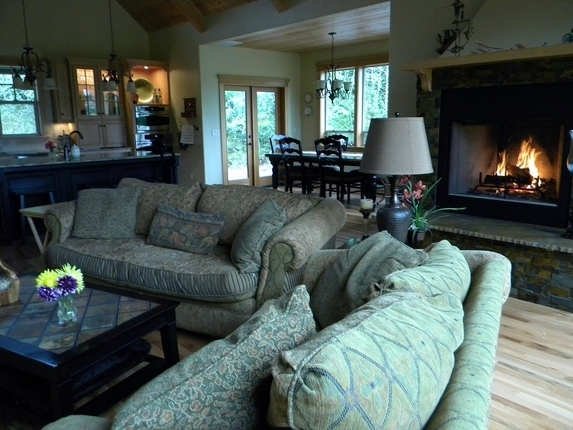 The custom fireplace provides warmth and a captivating focal point for the room. The kitchen, dining room, and living room are all open to each other to give plenty of space and openness. This is an ideal space for entertaining guests. If your own entertainment space feels a little cramped, consider Ritchie Homes for a remodeling to open it up with a custom design. Tall ceilings not only create space but let in lots of natural light. 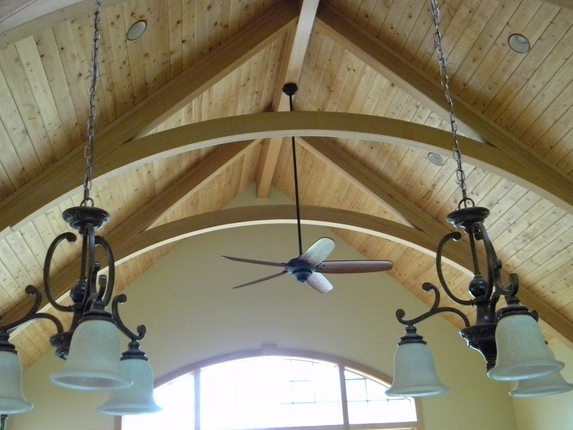 A custom home from Ritchie Homes can deliver features like these with the level of detail we are known for. Here an open kitchen with brand new counter tops and appliances creates a functional and attractive space. It's never too late to update your kitchen. 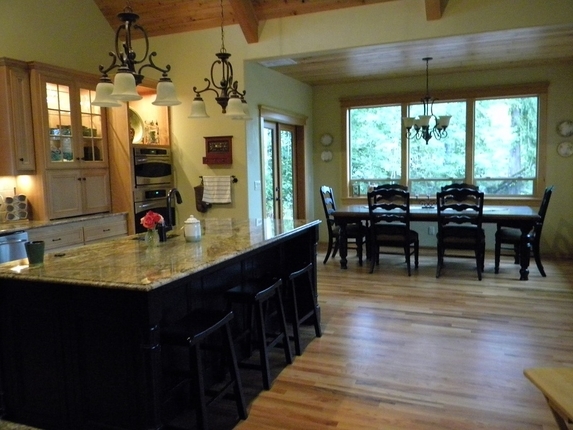 A remodeling can finally give you the counter tops, sink, appliances, and space you've always dreamed of. There's nothing like a relaxing soak in the tub after a long day. And with a gorgeous landscape like this it's important that you take advantage of it. 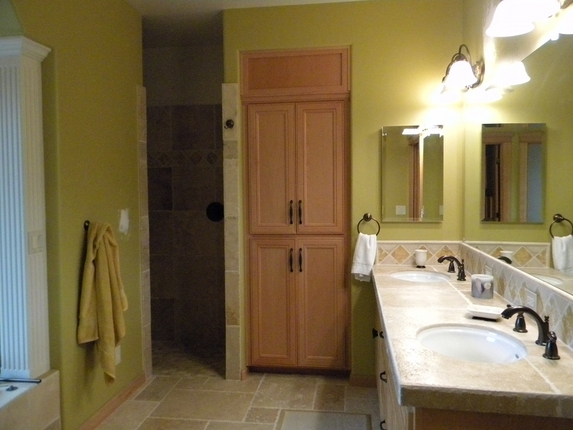 Ritchie Homes expertise in home design and remodeling makes sure that your bath is perfect. If your bath doesn't look like this, it's not too late! 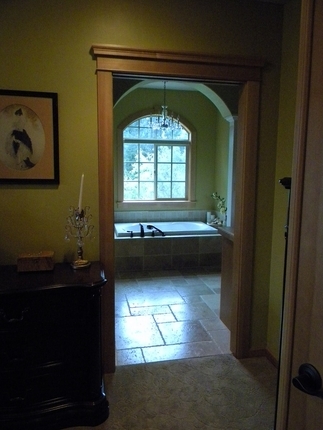 Ritchie Homes' bath remodeling jobs can create the relaxing space you're looking for. The bathroom can be a busy room in the house. Dual sinks helps to alleviate the traffic and give everyone their space. Having a spacious bathroom adds a comfort to your home and daily routine. If you're missing out and feeling frustrated with your current bathroom space and layout, consider Ritchie Homes for your bathroom remodel. A bathroom remodeling can give you the bathroom of your dreams. 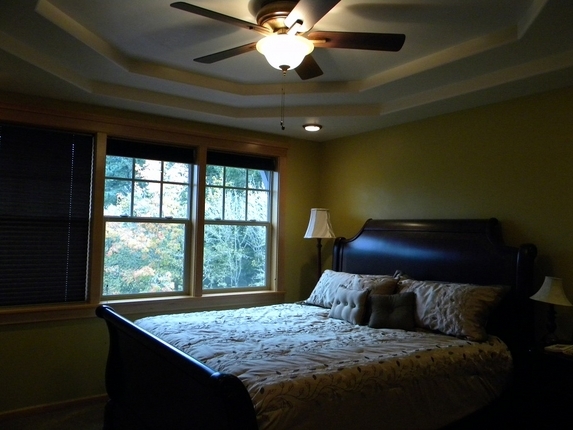 Ritchie Homes eye for details sets our remodeling jobs apart. 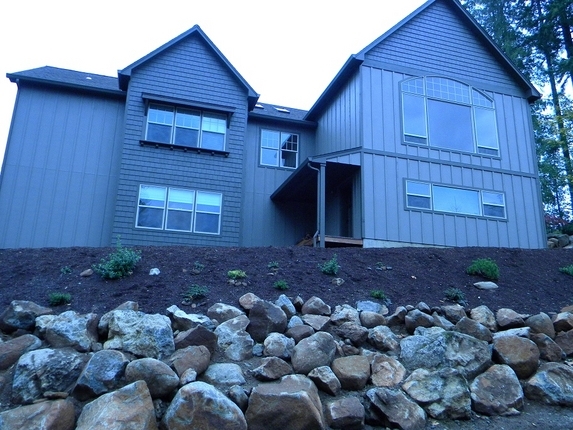 The beautiful surroundings of this home made a Ritchie Home a great choice. 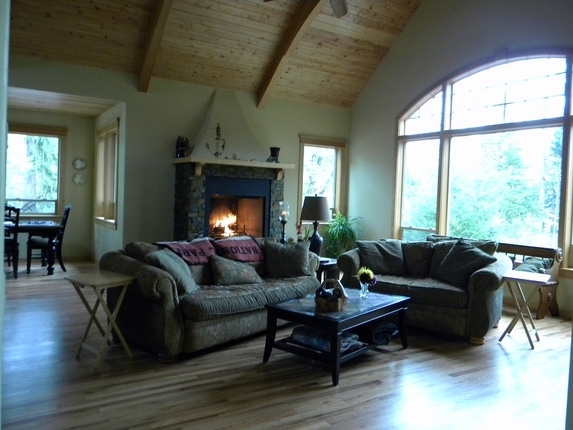 Our custom homes let us take full advantage of the surrounding beauty and give great views in every room. This custom bedroom offers a view out on the woods every morning.